Ardoq is a new entrant to the Forrester Wave with a very solid EAMS offering. This independent report evaluates "The 12 Providers That Matter Most" in the EAMS market against 35 criteria, showing how the providers compare with each other and aims to "help enterprise architecture (EA) professionals select the right one for their needs". "We are proud to have Ardoq ranked as a Strong Performer in the EA space by leading global anaylsts. With our new EA offering, we are the highest ranked new entrant in the Current Offering and Strategy categories in the report, which cites our likelihood of maintaining or improving our position in the market due to our vision and innovation agenda." 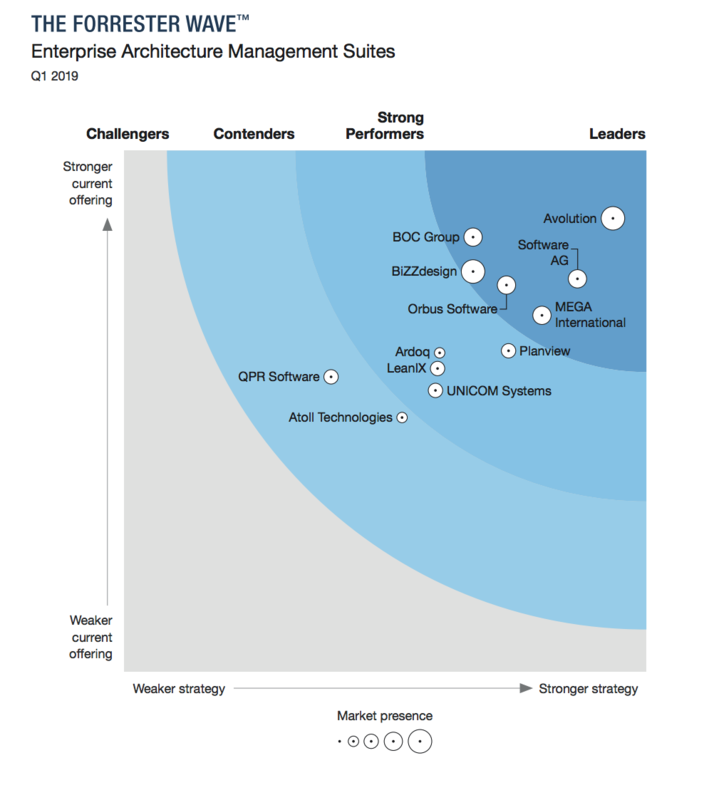 Download the independent Forrester Research report "The Forrester Wave™: Enterprise Architecture Management Suites, Q1 2019" to gain further insight into why Ardoq is a Strong Performer in the evaluation.